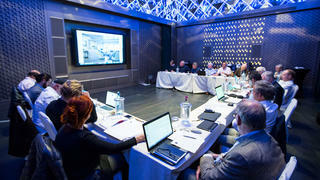 Deciding the winners of the World Superyacht Awards is a task not to be taken lightly. 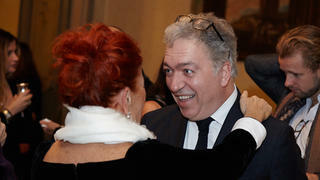 In fact, so long and detailed are the deliberations that for the 2017 event the judges put aside an entire weekend and came together in Milan to make their final decisions. Of course, this also provided an excellent opportunity for socialising and taking in Milan's cultural highlights - click through to see the World Superyacht Awards Judging Weekend 2017 in pictures. WSA judges Thomas Haffa, owner of Y4H, and Kim Vibe-Petersen, owner of Parsifal III, enjoy welcome drinks sponsored by Campari at the Camparino Bar - the birthplace of the international tradition of the aperitif. The judges raise a glass at the welcome dinner at Milan's Maio restaurant, sponsored by Officine Panerai with wines provided by Marchese Antinori. 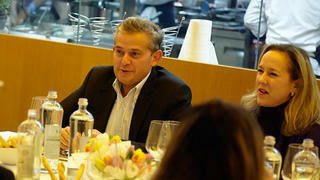 Carlos and Claudia Ancira, owners of Domani, at the welcome dinner sponsored by Panerai. 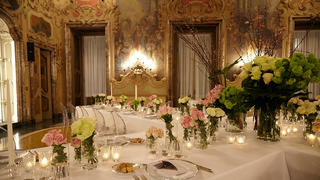 The Judges' Dinner, sponsored by Puiforcat, was held at the beautiful Palazzo Visconti. 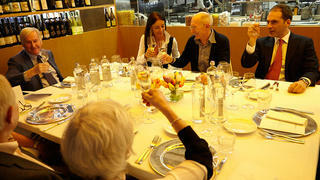 The exquisite tableware was also kindly provided by Puiforcat. Superyacht owner Paola Trifirò with Nicolas Cantenot, managing director of Puiforcat. 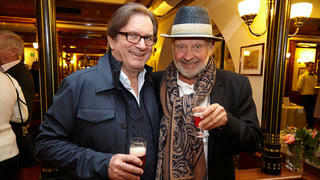 Stewart Campbell, editor of Boat International, holds a toast during the Judges' Dinner. 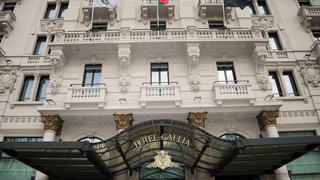 The judges weigh up the nominees during the Judging Day hosted at the Excelsior Gallia Hotel. 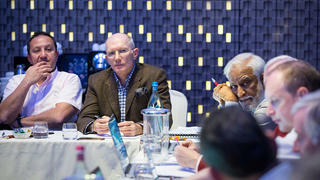 Discussion and debate takes place among the judges as they meet to decide the winners of the 2017 World Superyacht Awards. 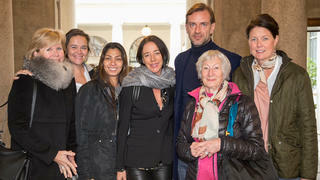 Helen Porter, Katja Warborn, Jennifer Osterlund, Franziska Rickenbach, June Lean-Vercoe and Kathleen Delorey Brown are pictured with Guglielmo Miani from the Montenapoleone Association as part of the programme provided for the accompanying partners and family of the WSA judges. 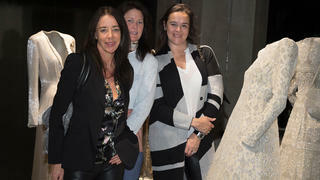 The judges' partners take in the beautiful couture creations at Milan's Armani Silos museum. 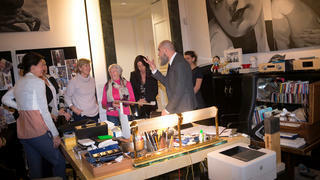 Helen Porter and Katja Warborn visit the Panerai boutique during the Partner Programme. 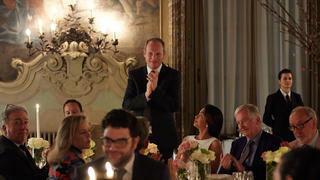 Fine jeweller Giampiero Bodino hosts a private tour and lunch at Villa Mozart for the partners of the WSA judges.